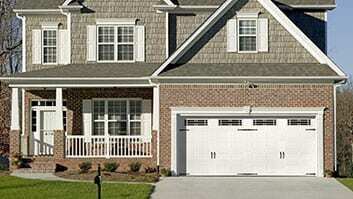 For thirty years, Richmond garage door service has been performed by Action Garage Doors; the best in the industry. To see what gives us that reputation, contact us for your next garage door repair in Richmond. When you want the best in garage door repair and other services, you have to turn to the best. For years, we have been providing residents all over Richmond with the garage door service they need to have their garages in the best working order. As a garage door repair company that is committed to customer satisfaction, nobody beats Action Garage Door. Our family-owned business has been satisfying customers for 30 years and we are waiting to help you find the services you need for your garage door in Richmond. We perform our work in accordance with all applicable local codes and our doors can handle the elements for years. No two home or business owners are alike, and our garage door repair company understands that no two will want the exact same garage doors and set up. At Action Garage Door, we offer a variety of garage doors for installation in Richmond homes and offices. Some of our options include, Carriage House, Olympus, Classica, Stratford/Heritage, and Amarr garage doors. To get started with your garage door repair, installation, or replacement, contact Action Garage Door in Richmond today and let’s talk about the options available from the garage door repair company that has been caring for customers since 1984. Home or business garage door replacement and service are no problem when you call upon Action Garage Door in the Richmond-Rosenberg area. Don’t put off that call if you suspect your door operator is not working properly, or if you hear squeaks and scrapes when you try to open or close your door. It’s no fun to have a door fall off its track. It’s even less fun to not be able to get your vehicle in or out of the garage! With a livability score of 81 on a scale of 100, Richmond is a fine place to make a home. Enjoy a comfortable lifestyle near the largest city in the county and just a short drive from Houston. If that sounds like a great choice, approximately 12,000 other residents think the same way. As the county seat of Fort Bend County, Richmond enjoys its historic location at the bend of the Brazos River. Next door is the charming city of Rosenberg, and the pair is much alike in some ways, while still retaining their individual charms. Historically, Richmond was home to government and non-profit organizations, while private and for-profit businesses located in Rosenberg. Today, each city boasts charming homes, restored downtown areas, lots of activities and diversions, good schools, parks and playgrounds, and locations that make other folks envious. There are plenty of pluses if you’re looking for reasons to be impressed by Richmond. Low cost of living rankings and high livability scores characterize both communities. Richmond’s median home price is lower, at $102,700, than the median in neighboring Rosenberg, and the home ownership percentage is only 55, but median income of owner households is $57,599, less than $200 lower than Rosenberg’s comparable median income. If that’s a plus in your book, you’ll want to take a good look at the pros and cons of each city. The Lamar school district serves both cities, but test scores are marginally higher for Richmond students, and the city’s William B. Travis High School is considered one of the best in the state, with a wide variety of student programs and services. Richmond numbers several distinct communities, some highly desirable, and some less so. The city recognizes areas that need work, however, and is developing comprehensive plans for cleanup and revitalization as well as to incidents that are common to some areas. The city is committed to building on its past in order to create a better future. Park preservation and city beautification policies have been formulated, and historic site are preserved to honor the citizens and the events that shaped the city’s past. The beautifully restored large home of John H. Moore, dating to 1883, now houses the Fort Bend museum, and other fine examples of last-century lifestyles are popular tourist destinations. Richard and his associate came out and did excellent work at my home. The courteous and took the time to explain the problem. Most of all they were fast and clean. I appreciate the service they provided. I will call them again when I need work done. Richard was very professional and informative. Very happy I called Action! Guillermo was very efficient and super polite! Did an awesome job explaining everything to me and how it worked...and I’m a girl! Also took the time to clean up behind himself! Fantastic job!